1. Christmas crackers Rm190 (buy 1 free 1 ) So you can get 2 set of the price of one, this is great for stocking stuffer for each friends, or you can give the whole set to two different people. The colour are gorgeous - (mayfair mews) Navy fibre optic polish, (baket street)cobalt blue, (marylebone lane)red full coverage glitter, (king's road)rose gold foil effect polish, (kensington high street)deep wine polish, and (trafalgar cresent) silver galaxy polish. This is a full size polish. 3. 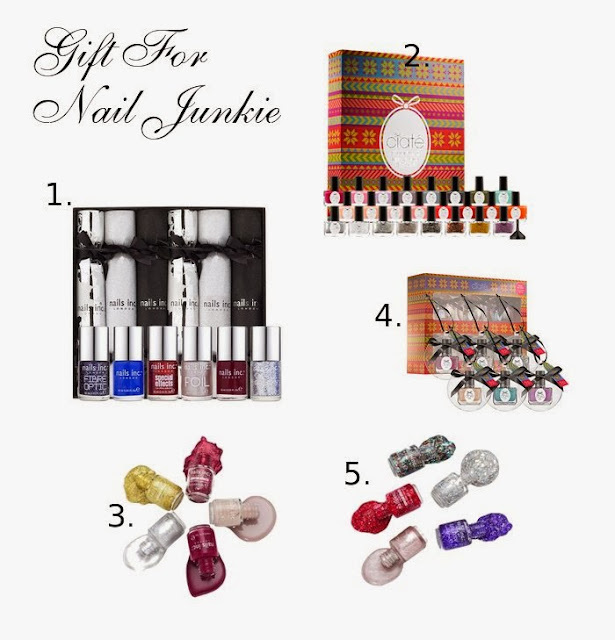 Nail Inc The Editors Rm120 (buy 1 free1 ) This is another buy 1 free 1 set, a very good deal ! A mini size of nail polish that included 5 colours. A silver foil effect polish, gold full coverage glitter polish, red full coverage glitter polish, best selling chic mushroom polish, and deep red polish. 4. Ciate tree trickets Rm62 (previously Rm124 buy 1 free 1) A cute packaging that you can hang them on christmas tree and a stocking stuffer for friends and family. This is another buy 1 free 1, so each ornaments is only Rm10.33 , 6 lovely glittery nail polish. 5. Nail Inc Best dressed nail Rm120 ( Buy 1 free 1) You can get 5 nail polish. A rose gold foil effect nail polish, red sprinkles, silver fibre optic, violet galaxy, rainbow graffiti. This is is mini size polish. really buy 1 free 1???? omg i must go to sephora quick!! Yes, they are having buy 1 free 1 promo :) grab them while stock last :) happy shopping !